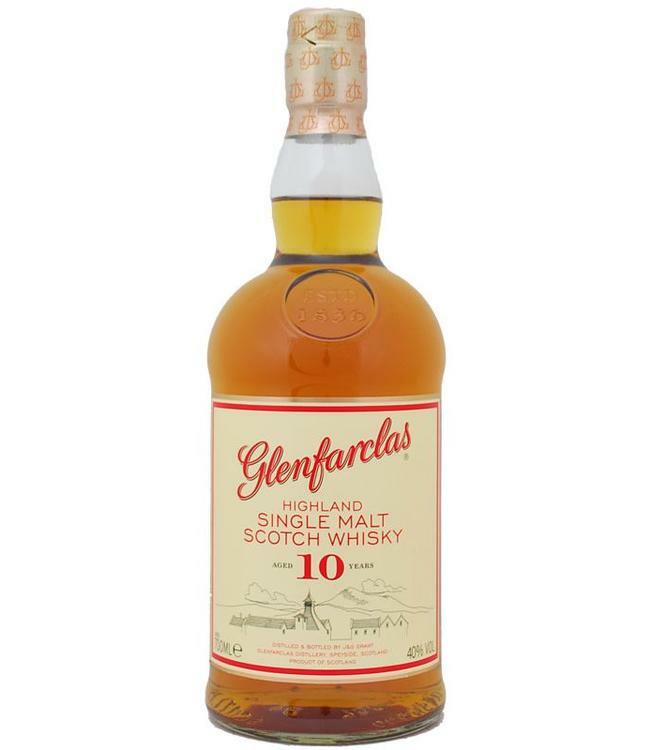 Also in terms of price this 10 year old Glenfarclas is a fine 'entry-level' single malt. Light, fruity 'Speyside' tones combined with malt, a hint of smoke and the sweetness of sherry make this whisky easy to drink. At 40%.